Amazingly, there was no line and no stress. I'm sure there are times when there are lines, but we didn't have one. All the staff members we encountered were friendly and it wasn't a frantic atmosphere like you get at the Empire State Building. 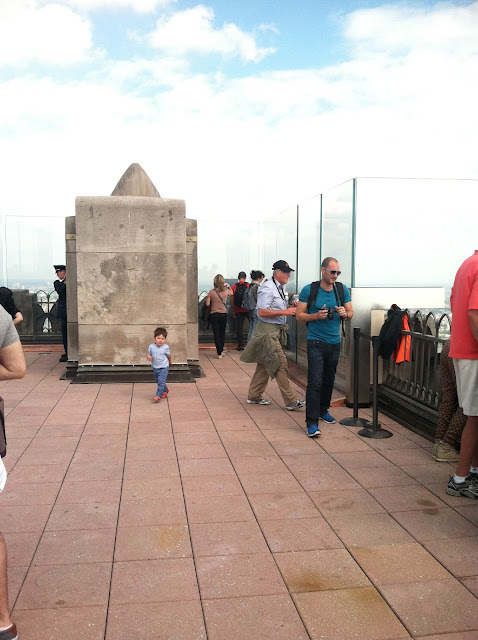 The observation deck has three tiers, which disperses the crowds (not that it was crowded for us). Plus, the top deck has a low railing, which they can have because the next tier down is just a floor down, so they don't have the risk of jumpers. On the lowest tier, the barrier is all glass, so there isn't the cage effect you get at the Empire State Building. The decks on all three levels are wide. Greyson was even able to run around. I didn't feel like I had to keep him penned in because it was too narrow and crowded. Since the observation areas are tiered, you can get pictures of yourself with a big chunk of awesome view if you have someone take a picture of you from a higher tier. Can't do that at ESB. 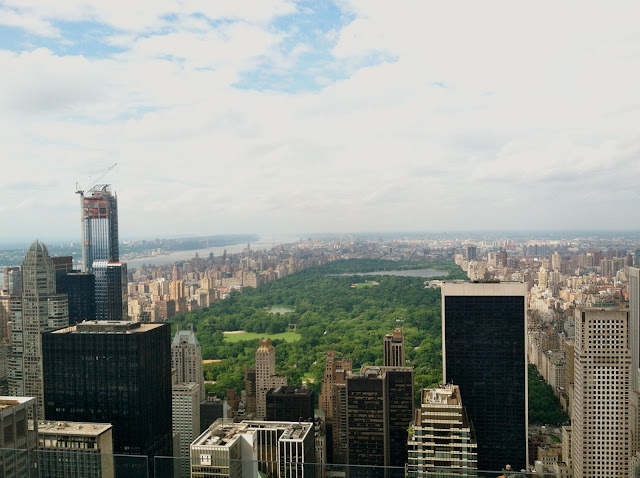 You get to see Central Park and views north of there. You don't get that from the Empire State Building. You get to see the Empire State Building from the coolest spot possible, right in front of it. the Empire State Building itself isn't that cool. It's old and dated. My dentist's office is in that building on the 24th floor. The only thing that building has going for it is the observation deck and after the Top of the Rock, I don't even really think that's so great. The only con is that the price per adult is $27 and that's expensive. A Top of the Rock view of Central Park and the northern part of Manhattan and beyond. Kids don't have any "open space" like this at the Empire State Building. 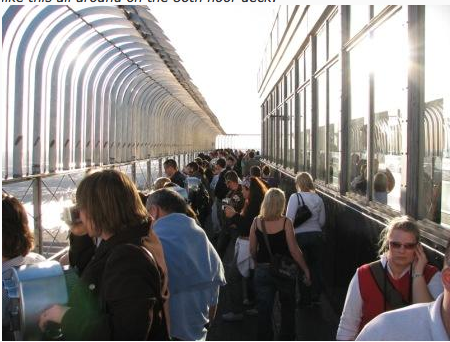 The observation decks are super narrow and crowded. You're spending most of your time up there trying to stay out of other people's photos and saying excuse me to pass people. The observation areas are and feel very caged in. They have to do that, but it's not cool. You have to stick your camera through the bars to get pictures. All of your pictures will have metal bars in the background, not the views. The waits are insane. It's just not worth it. I think most people go so they can say they went. 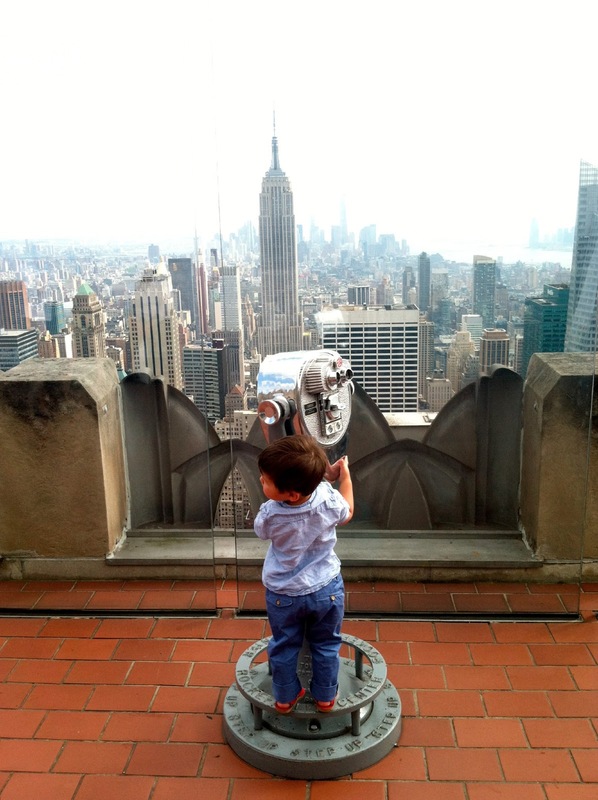 If you really want to see better views of New York, you'd be at the Top of the Rock. Same here... Been to Eimpire, not the Rock. Looking forward to go there with hubby on a date ! Great Blog ! It's definitely worth the trip! Great date night idea!